Heat oven to 350°F. Grease 9-inch round cake pan. Cut 20 of the peanut butter cups into quarters, and reserve for rolls. Cut remaining 5 peanut butter cups in half, and set aside. Separate cinnamon rolls; reserve icing. 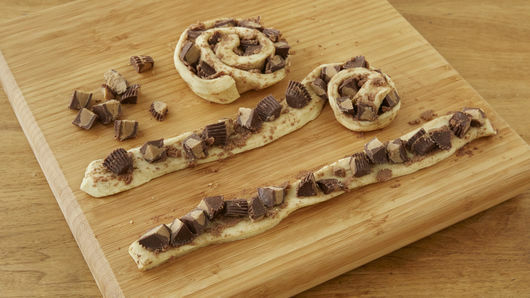 Unroll each cinnamon roll; add 16 peanut butter cup pieces to each roll as dough is rolled back into spiral; place in pan. Bake 18 to 21 minutes or until tops are golden brown. 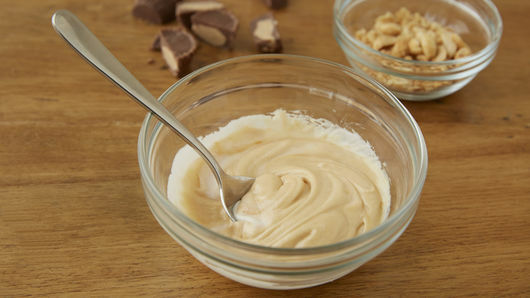 In small microwavable bowl, add icing and peanut butter. Microwave uncovered on High 15 to 20 seconds, stirring until smooth. 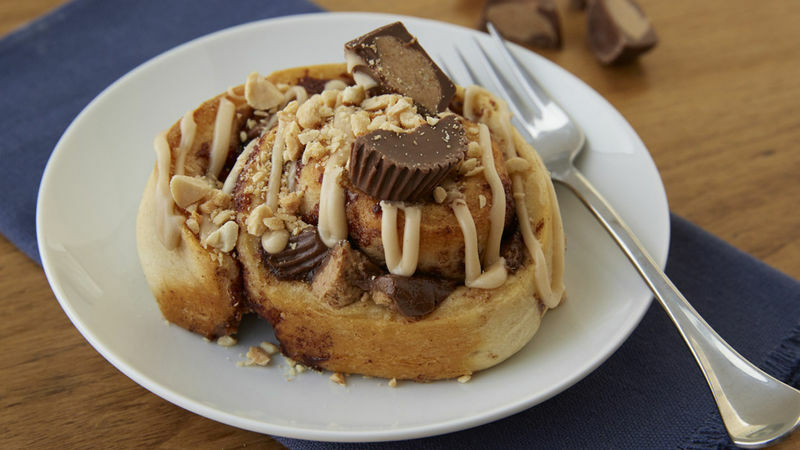 Drizzle rolls with peanut butter icing mixture; top each with 2 peanut butter cup halves. Sprinkle with chopped peanuts. Serve warm. Honey-roasted peanuts may be substituted for dry-roasted peanuts in this recipe. Try substituting miniature candy bars in place of peanut butter cups.